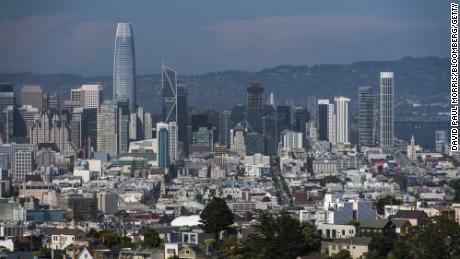 The Public Investment Fund (PIF), which is chaired by Saudi Crown Prince Mohammed bin Salman, is planning to open offices in New York, San Francisco and London. “PIF is not just going to be only in Riyadh,” the fund’s managing director Yasir Al Rumayyan said on Wednesday. “We feel we need to be closer to our businesses over there,” he told a conference. The fund is central to Saudi Arabia’s Vision 2030, a plan spearheaded by bin Salman to diversify the economy away from oil. It is the driving force behind the country’s ambitions to develop new tourist and entertainment industries in a bid to encourage Saudis to spend more of their money at home. It is also backing a grandiose project called Neom, a $500 billion futuristic mega city of self-driving cars and passenger drones. “Saudis are spending on an annual basis $20 billion on tourism outside of Saudi, we want to bring some of that back,” Al Rumayyan said. It has big plans for growth. It is aiming to increase its assets from $224 billion to $400 billion by 2020, and raise the share of foreign investments in its portfolio from 10% to 50% by 2030. It’s also hiring more people. PIF expects to have 700 employees by the end of this year, up from 450 at present. That number could rise to 2,000 by 2025. “We’re hiring people from all over, from Saudi, from the region, from all over the world,” Al Rumayyan said. One of its biggest commitments is the tech fund it set up with Japan’s SoftBank (SFTBF). PIF invested $45 billion. Separately, it invested $3.5 billion in Uber in 2016, and Al Rumayyan sits on the company’s board. The fund has also built up a stake of roughly 5% in Tesla (TSLA), according to CEO Elon Musk. But the kingdom’s relations with global business have come under intense scrutiny since journalist Jamal Khashoggi was killed and dismembered after entering the Saudi consulate in Istanbul in October. Riyadh has maintained that neither bin Salman nor King Salman knew of the operation to target Khashoggi. US officials have said such a mission — including 15 men sent from Riyadh — could not have been carried out without the authorization of bin Salman. Many top global executives pulled out of a investment conference in Riyadh in October in response to Khashoggi’s death, including Uber CEO Dara Khosrowshahi, SoftBank CEO Masayoshi Son and Siemens (SIEGY) CEO Joe Kaeser. “All these stories with Khashoggi, they don’t help,” Egyptian billionaire Naguib Sawiris said in an interview with CNN Business’ Emerging Markets Editor John Defterios on Wednesday. 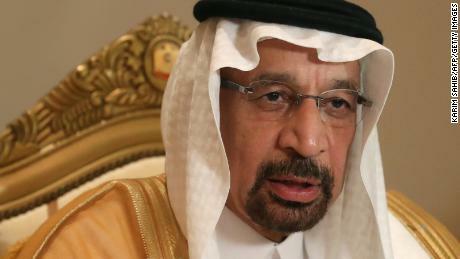 Investor confidence was also rattled in late 2017 when dozens of high-profile Saudis including business executives and officials were rounded up and held in Riyadh’s Ritz Carlton hotel as part of an anti-corruption swoop. Many were held for months and released only after agreeing secret deals to hand over billions to the government. “I don’t say I will never invest in Saudi Arabia. I say currently we need some transparency … Let’s say I have a quarrel with my Saudi partner and need to go to court, which court?,” Sawiris added.